Home News	Much anticipated Xiaomi Redmi pro launched in China..! Much anticipated Xiaomi Redmi pro launched in China..! Xiaomi is always known to disrupt the Smartphone market by offering great Smartphone’s at an impossible prices and their latest offering is no exception as Xiaomi launches the much anticipated Xiaomi Redmi pro In China..! 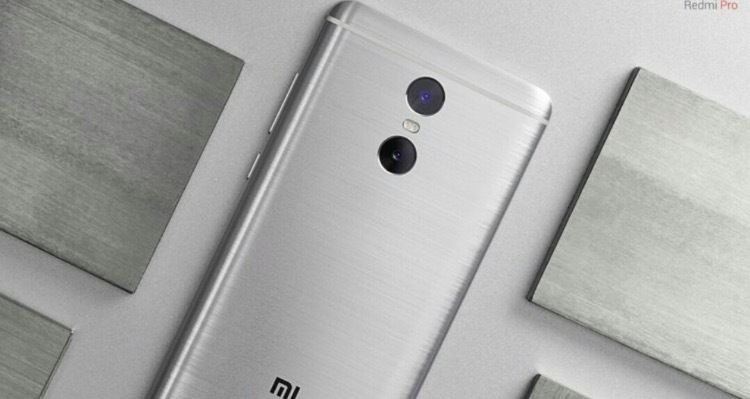 Right of the badge Redmi pro feels like a Flagship with its ‘all metal unibody Design’ with brush metal finish and it just Screams premium., and the Smartphone unlike it’s Smaller brother Redmi note 3which has a Fingerprint scanner at the back below the camera module instead it has the FingerprintScanner at the front in the Home button (Similar to Xiaomi mi 5) & Xiaomi made this change inorder to accommodate a Dual Camera setup (which is first for this price segment) where primary camera is in the traditional Xiaomi placement and the second camera is located in the same place where we used to find the Fingerprint scanner in the Redmi note 3., and Xiaomi claims that the Primary 13MP and Secondary 5MP cameras will work together and So will give us a DSLR like bokeh effect ..(which we have to test) Speaking of which the primary 13mp cameracomes with a dedicated Depth Field Sensor and has Support for dynamic depth of field..! and the secondary 5mp Camera also comes with DedicatedDepth Sensor, which will take the camera Game to a whole new level, atleast the company is claiming So.. and ofcourse this isn’t the first time that we have seen similar implementation of the Dual Camera set up (HTC One m8 is an example) but this is for the first time in this price segment.., Which is exciting..! 5.5″ full HD OLED panel which is a welcome addition and is definitely something that will put this Smartphone ahead of its Competition and what is even better is that this OLED display cover’s the 100% Standard of NTSC Colour Gamut, and as a Cherry on top it has a 2.5D Curved Arc glass aswell.!! And So as to powerup that Dual Camera’s and the 1080p OLED panel The Redmi pro packs a mammoth 4050mah non removable – battery (The Same as Redmi note 3) a USB type ‘C’ port to charge it up with a Dual sim hybrid slot in which you can choose between the micro-SD expansion or Secondary Sim and on the Software front the Redmi pro runs on Android 6.0.1 with Xiaomi’s latest MIUI 8 Skin on top..! 3GB RAM but with 64GB Storage and a Slightly more powerful Mediatek’s Deca core Helio x25 SoCfor 1699¥ (17999/-INR) and the highest variant Comes with 4GB RAM and a whooping 128GB Storage and the Same Mediatek’s Helio x25 Deca core SoC for just 1999¥ (19999/-INR) and it is currently only available for Sale China ..! So, what do you feel about the Revolutionary Changes that Xiaomi is offering with the Redmi pro and are you excited about the Smartphone, Let us know your thoughts in the Comments Section below..! Lenovo ZUK Z1 Review : Is It Flagship Killer?